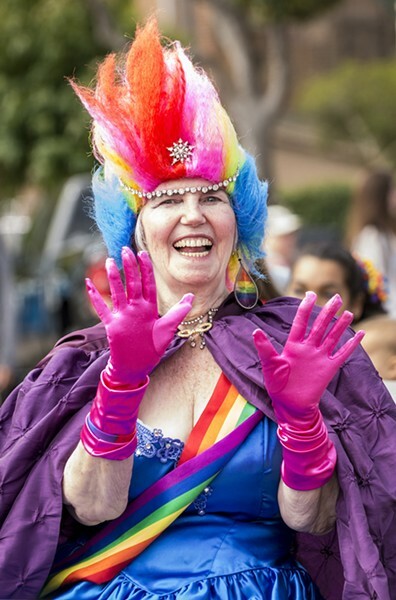 Parade marshal Linda Shapeero brought the color with her Pride ensemble and signature rainbow earrings. 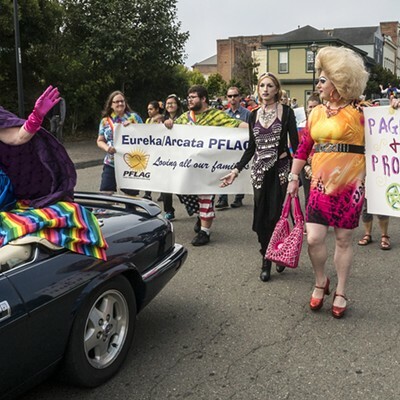 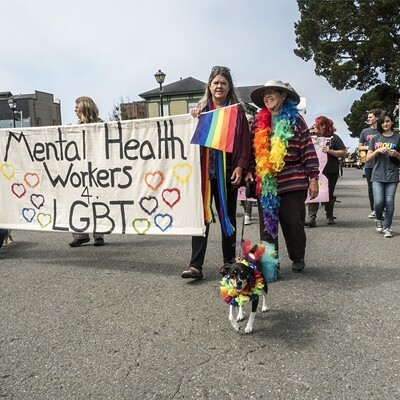 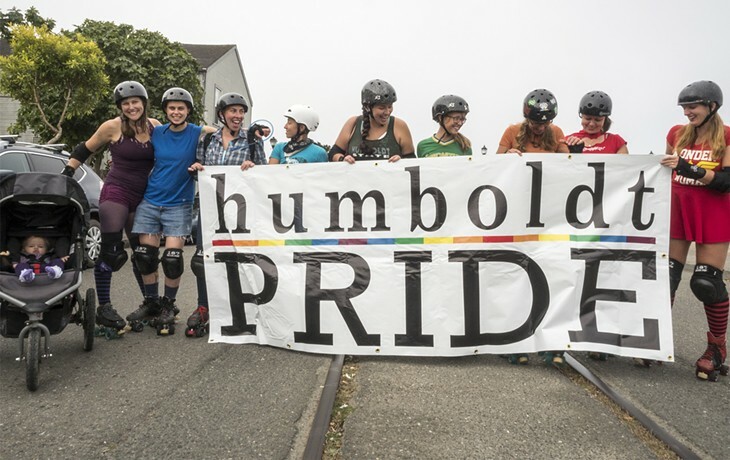 More than 100 participants shared high energy and support as they marched in the 24th annual Humboldt Pride Parade in Eureka on Saturday. 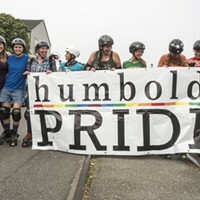 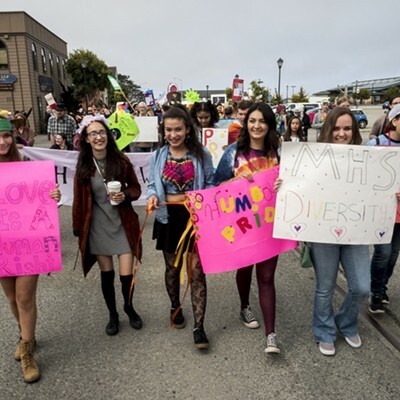 The parade went smoothly despite some protest and concern that recent violence may be related to controversy surrounding the Humboldt Pride board of directors. 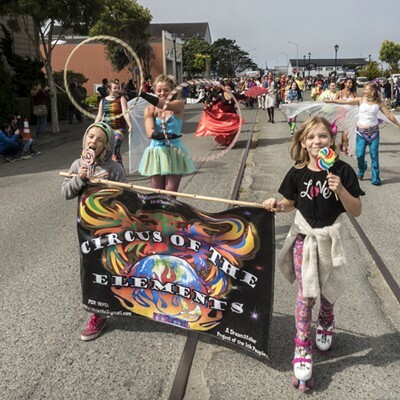 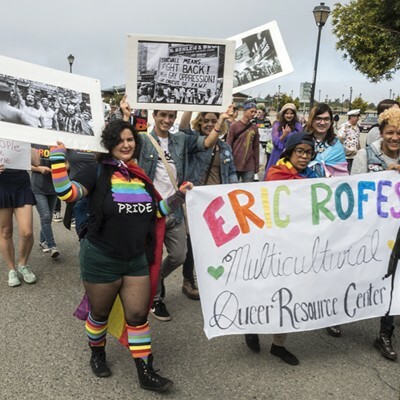 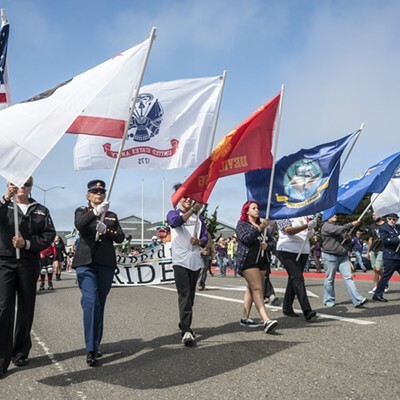 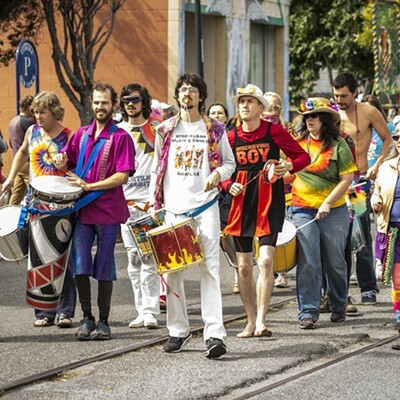 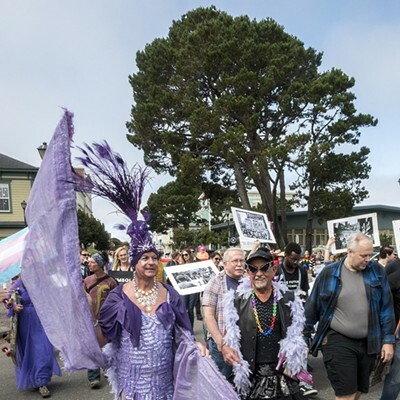 The parade started around noon under a foggy marine layer at C and First streets in Old Town, and ended in Halvorsen Park under warm sunny skies for the afternoon’s family-friendly Humboldt Pride Festival. 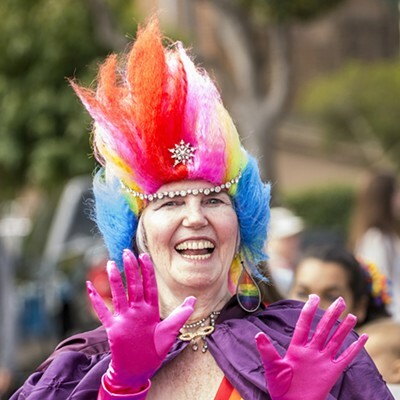 The Festival included live music, food and drink vendors, children’s activities and a wide range of informational and social-service organizations.